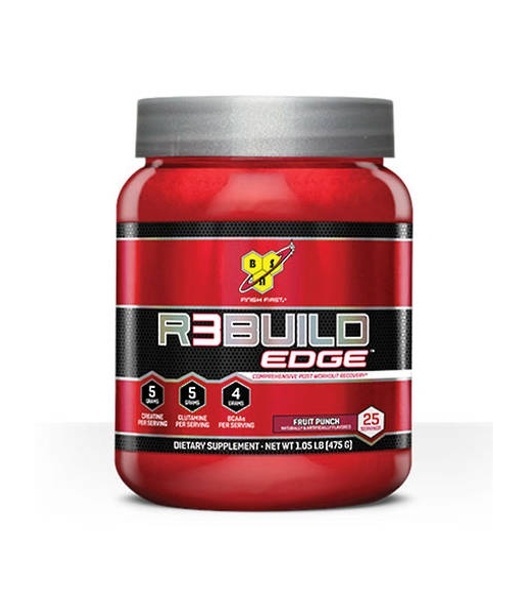 R3BUILD EDGE™ has been designed to help kick start your post-workout recovery. This muscle-building and strength formula contains the 3 gym-tested ingredients you need after an intense workout in 1 convenient stack-in-a-bottle. With 5g of Creatine, 5g of Glutamine, and 4g of BCAAs, R3BUILD EDGE will help you recover today so you can push further tomorrow. 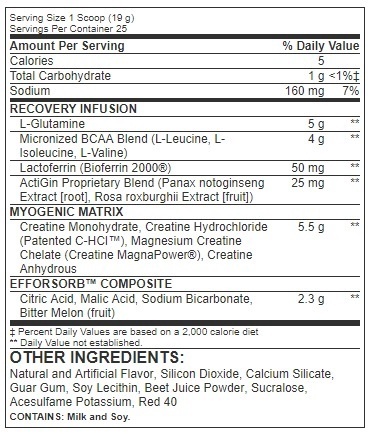 Directions For R3Build Edge: Mix 1 scoop with 6-8 oz of cold water or any beveage of your choice after your workout. Stir. Do not shake.